Our business, Rumspeed, and this travel site, runs on WordPress. We use it everyday. Writing, building, planning, journaling, storytelling, cataloging, archiving, coding, hosting and communicating. We have been doing so since 2008. WordPress runs over 25% of the internet right now and it’s growing pretty fast. The reason for the growth is the community. Advocates of the platform use it in various ways personally and professionally. There are increasing numbers of people making a living from WordPress all around the world. From time to time, they (we) gather to talk all things WordPress, creating a room full of people making a living off of free software. Sometimes those gatherings are in the form of meetups, and sometimes they take the form of WordCamps. WordCamps are organized events where advocates from around the world gather to meet, teach, share and learn from one another. We are always looking at the WordCamp schedule to see if there is a “conference” where we are headed. Timing is everything. We are usually in the right place, but not at the right time. WordCamp Miami was in February. That would have been nice to attend, but we were already too far away by then to make it happen. WordCamp Chicago was amazing last year buts starts on April 30th this year. We won’t be there either. May 7-8 is WordCamp Sunshine Coast (Australia) — that’s dreamy but not in our budget yet. And we always have our eyes on venues in Spain. Someday. The stars were aligned for WordCamp San Diego. We already planned to be in town in early May so we adjusted our schedule and made plans to be there a couple of weeks early to make it happen. We purchased three tickets so we could make it a family event and hang out at Liberty Station in downtown San Diego for the weekend. And here we are! Everywhere we go along this journey, I am always looking for meetups and coworking places where I can collaborate with others, hoping to find people using WordPress to share ideas and help each other out. This has been difficult in many places, because environments like this mostly happen in bigger cities. But working from home has its perks too. Since our view changes often, it never gets old. For the last few years we have been increasing our monthly revenue so that we can travel as long as we’d like without feeling like we’re hustling. It’s tough running a business starting at zero every month, so we started a plan to onboard our customers to our managed web hosting platform. We did this for two reasons: we can deliver a better experience by providing an ongoing service to existing customers and we are able to retain the revenue. For each new customer, we get a raise. Our next goal is 50 new customers by the end of the year. We’ve got a plan to make it happen and we are currently on track. We’re getting closer and it feels good, but we have a lot of work to do to reach our goal. Attending WordCamps is a great way to network and learn from others. I feel like a student and a teacher, protege and mentor, interchanging throughout the conference. We’re all in good company and it feels amazing. There is another WordCamp in Irvine, California, in early July: WordCamp Orange County. We might alter our plans for mid-summer to attend that “conference” too. Whatever we do, we know that there are communities all over the world doing what we do. With WordPress, it’s our platform with our content. We own it and share it with the world. With it and because of it, we are free to do what we want, so we can keep on traveling doing what we love. Thanks, WordPress. Pressing all the words from the WordCamper while traveling around North America with my wife and daughter. Founder of Rumspeed. 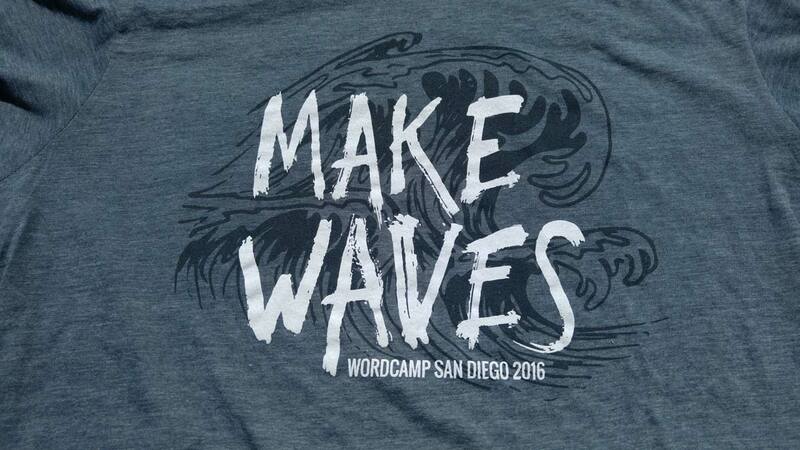 What a great achievement to have reached your destination(s) – San Diego AND WordCamp San Diego! You must be elated. I’m sending good vibes that your current environment gives you rest and peace until you desire to move on. Great work, you three! Love you more than you know. Awesome. I’m sure the synergy is inspiring. Enjoy!